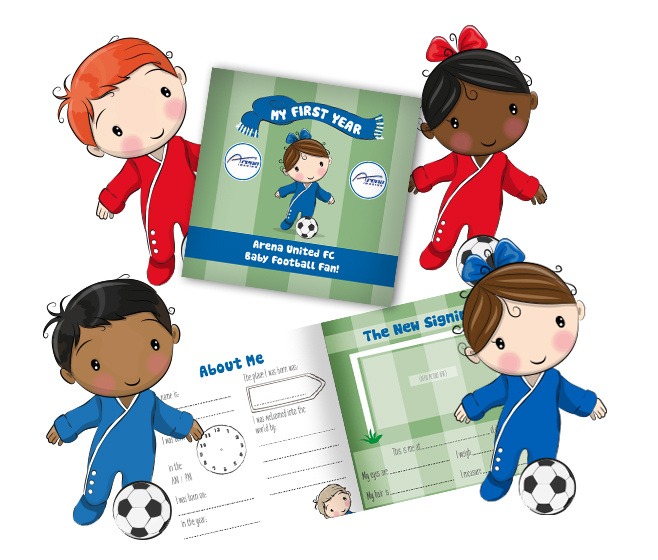 Baby books can be personalised with team colours, crests, personalised babies and the team mascot*. A generic version is also available that just makes use of the club mascot as apposed to the baby figure. 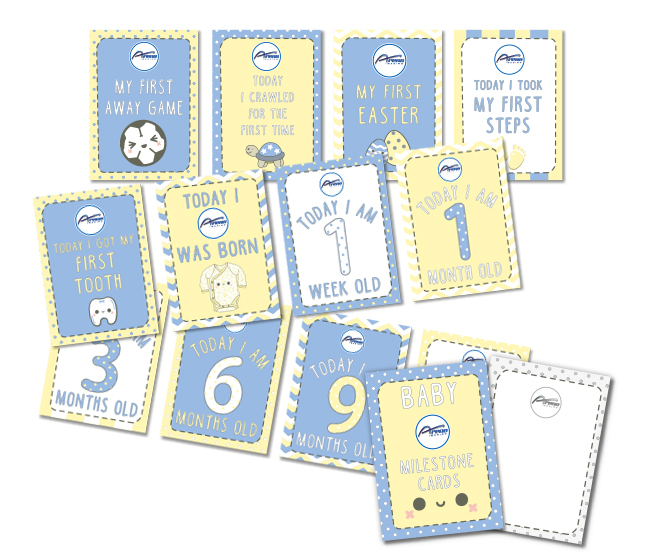 Milestone cards can be personalised with team colours and crests.